In the near future in BeamNG Drive to play online for anyone. Developers are planning to considerably expand the functionality of the game application, updating multiple modules. According to preliminary information, the game will add to Steam, where will be realized the possibility of multiplayer. Developers do not disclose the details of innovations. However, within the gaming community was information that appears a few missions with the subsequent release of the mods. Most likely that programmers will go to standard scenario and will offer players to perform tasks for a certain reward. How creative suit developers to innovations is still unknown. 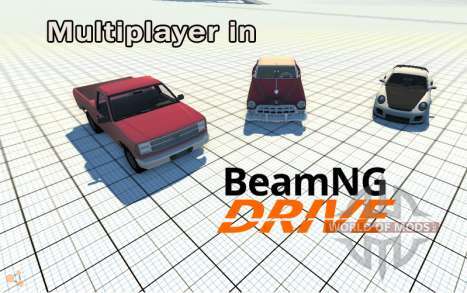 It was observed that in the Internet community rumors spreading that the multiplayer in BeamNG Drive is already available. This information is completely untrue. In this regard, it is not recommended to resist the temptation to send messages to strangers phones to get download links supposedly modified game. The result will be just wasted money on the increase of welfare fraud. About the ability to play BeamNG Drive online will be announced on our website. According to preliminary information, this feature may appear in the summer or autumn. While the players can freely download fashion BeamNG Drive and diversify realistic world of crash-tests. There are lags? We will help you to eliminate them.